Dr. Chan is a Double Board Certified Facial Plastic Surgeon. 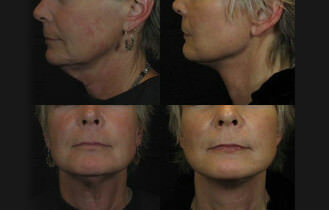 He specializes in comprehensive and minimally invasive facial aesthetic and reconstructive procedures. He utilizes surgical techniques that require smaller incisions leading to quicker recovery, and a natural looking, refreshed appearance. Dr. Chan’s skilled expertise delivers reliable, beautiful results for upper and lower eyelids, face and neck rejuvenation, nose and ear reshaping, lip and chin implants, and facial scar revision. Dr. Chan was Assistant Clinical Professor at Stanford University Medical Center and attending surgeon at the Palo Alto VA Medical Center prior to entering private practice in the San Francisco Bay Area. While at the Palo Alto VA, Dr. Chan provided care to injured Iraqi Veterans by performing facial reconstructive surgery. He relocated to the Portland area in 2009 to be closer to family. He brings with him to the Pacific Northwest specialized skills in facial plastic and reconstructive surgery along with a compassionate and caring approach to patient care. He is uniquely gifted in creating treatment plans that are personalized, effective and utilize the latest technology.